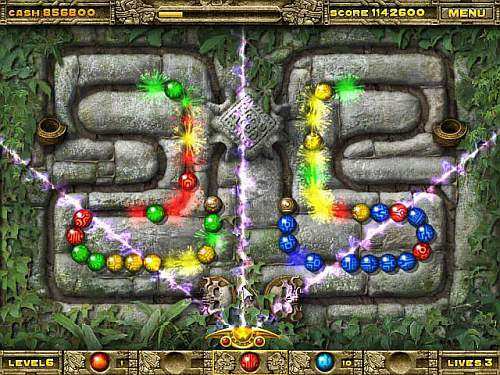 In Azteca you are a ball thrower who throws balls at a field of moving balls. Make balls "dissolve" by throwing balls to make 3 similar balls align in a row. 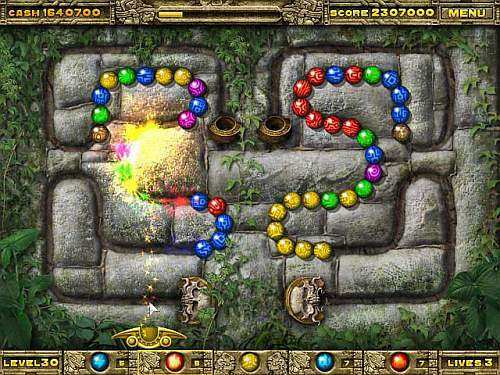 There are also special marbles and power ups which explode the field or makes it roll back and more.